Rock and Roll Hall of Fame Induction Ceremony Tonight! 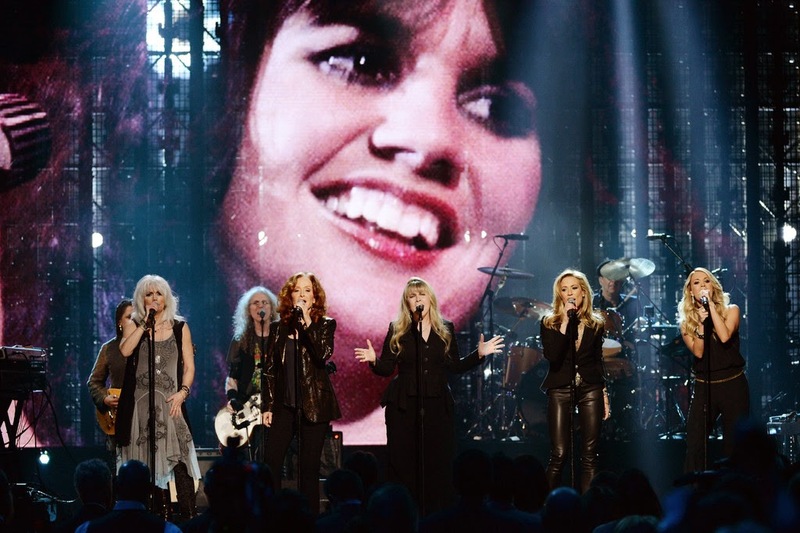 After Glenn Frey spoke about Linda Ronstadt, the five ladies took the stage... Stevie sang "It's So Easy" after Carrie Underwood, Bonnie Raitt and Sheryl Crow each did a number solo. Then the five of them sang "Blue Bayou" and "When Will I Be Loved?". HBO will air the induction ceremony on May 31st at 9pm. "It's So Easy and "When Will I Be Loved?" 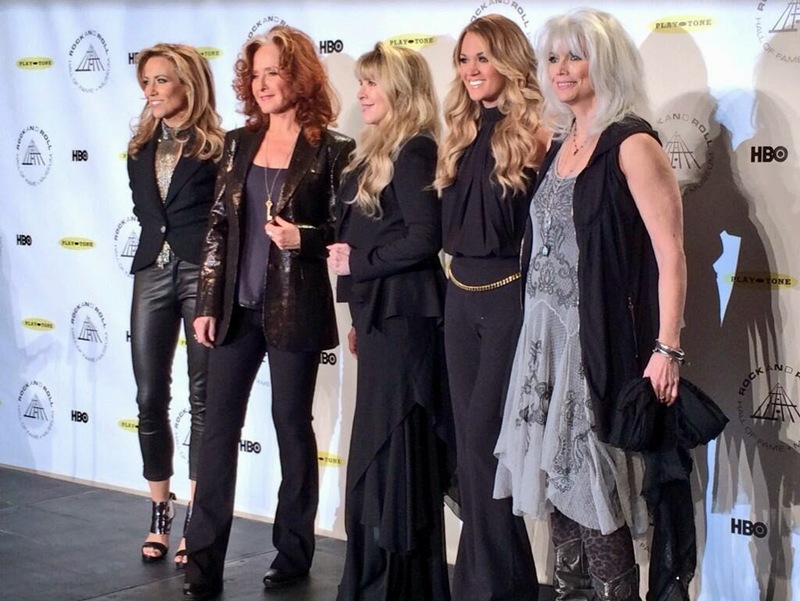 Sheryl Crow wants more bras in country, fewer bros. Stevie Nicks won't go on Howard Stern's show because "he's crazy." Howard Stern is crazy. Ha Ha Ha!!!! 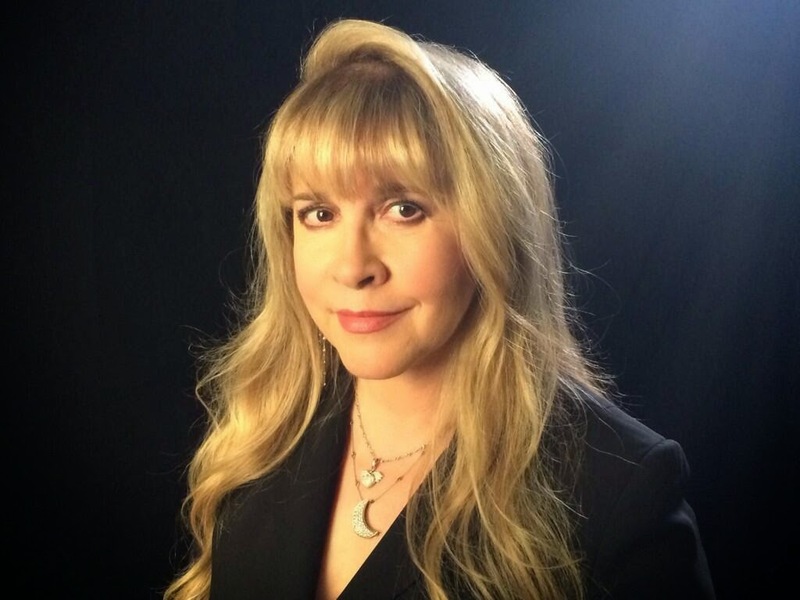 The last picture is Stevie is ABSOLUTELY BEAUTIFUL!!!! 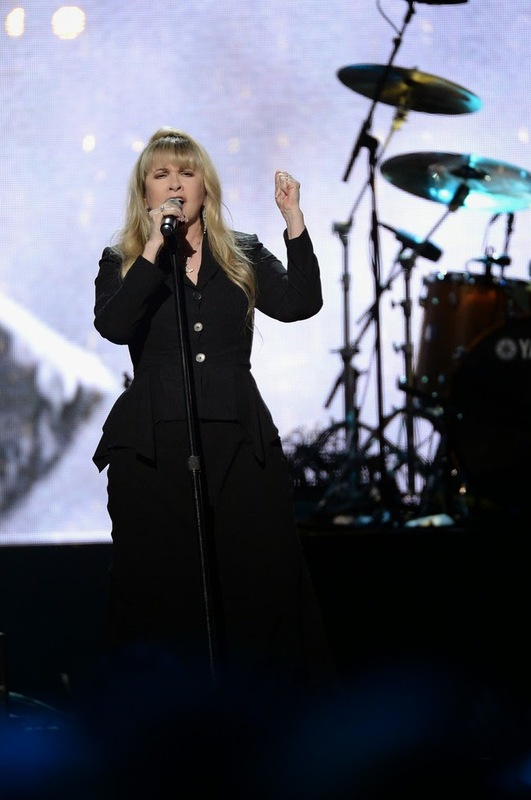 Stevie looks great in the long skirt. This is what she should wear on stage on tour. Long skirt is great, but the moon boots are back. :-( She wore them on The Tonight Show too. Everyone keeps commenting on the shoes, aka moon boots or frankenbocks, but am I the only one that sees open toed shoes? To me, it looks like she is wearing platform sandals, which is definitely a new one. I agree she should wear this outfit on tour, She looks great, She looks much thinner ever so classy like the woman she is! Her shoes are platform sandals. She probably gets tired of wearing boots all of the time and boots are hot to wear. I think she looks beautiful. 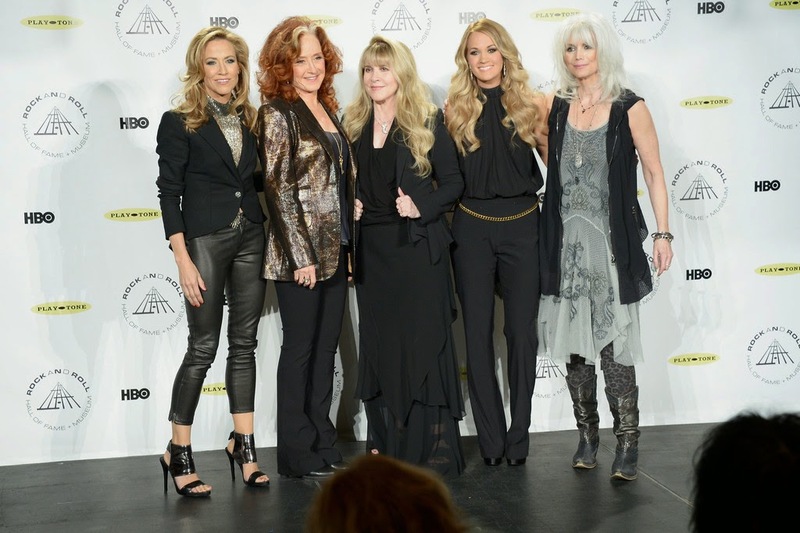 Well that video was just about the coolest thing I think of seen in music in a long time... what a bunch of phenomenal female powerhouses all on one stage!!! 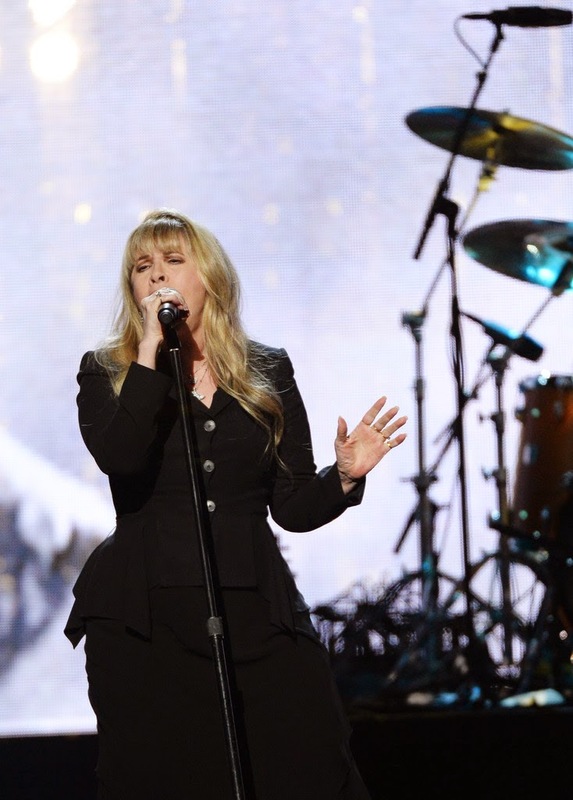 ...and is it just me, or is Stevie Nicks looking really HOT these days! ...I mean compare her size to Carrie Underwood's... I don't know what she's doing these days, but she looks FANTASTIC!!! 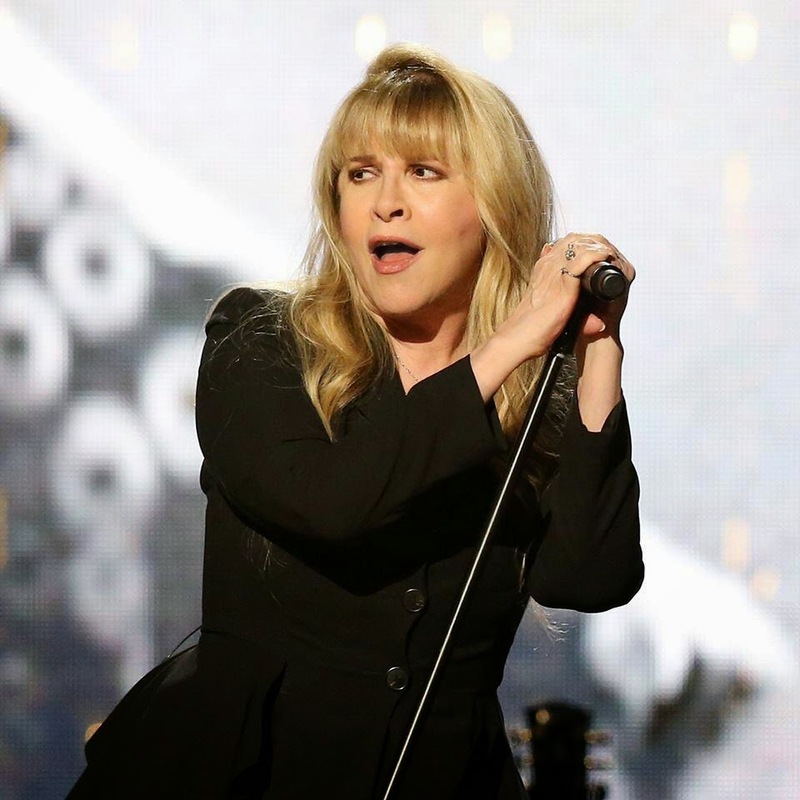 Saw Stevie Nicks on Jimmy Kimmel and was floored... she's timeless! 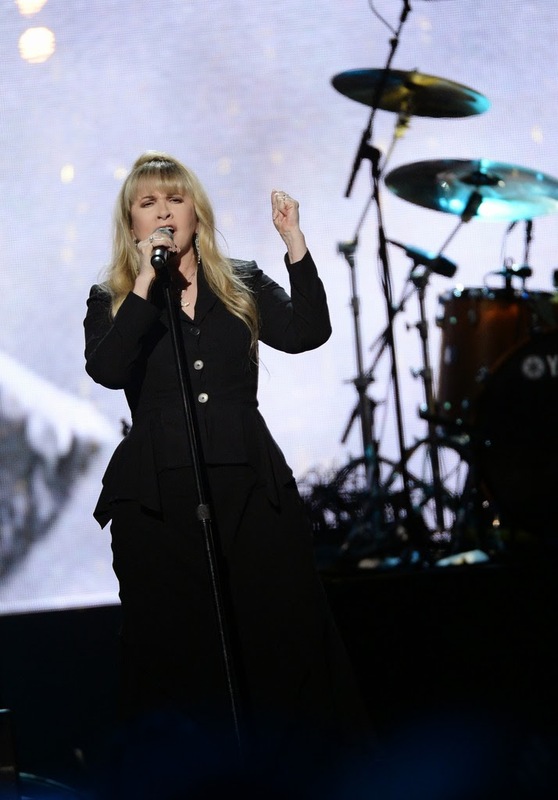 The new Fleetwood Mac World Tour with Christine McVie is going to be STELLAR!! !